An increasing number of companies are becoming aware of the importance of design in their DNA. Not only as something that is responsible for the aesthetics and functionality of their products, but as a valuable tool that can be used to transmit values and foster innovation. 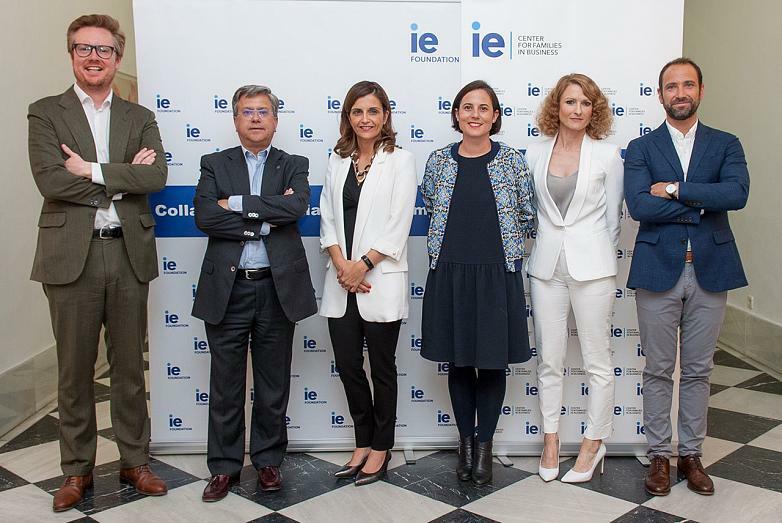 The subject of how to use design as a way of responding to new consumer demands and how to make it an agent of change for a company’s people, processes and business models, was a topic that was talked about at the meeting held at the Madrid IE Business School, titled “Transmitting values, driving innovation. Design as a transformative experience for the Company”. Organised by Actiu and the IE Centre for Families in Business, and with the participation of Serrano Suñer Arquitectura, Quirón Salud and Cosentino, the event analysed the role of design as an added value for any business, using real examples of companies in sectors as diverse as the architecture, health, furniture and coatings industries. 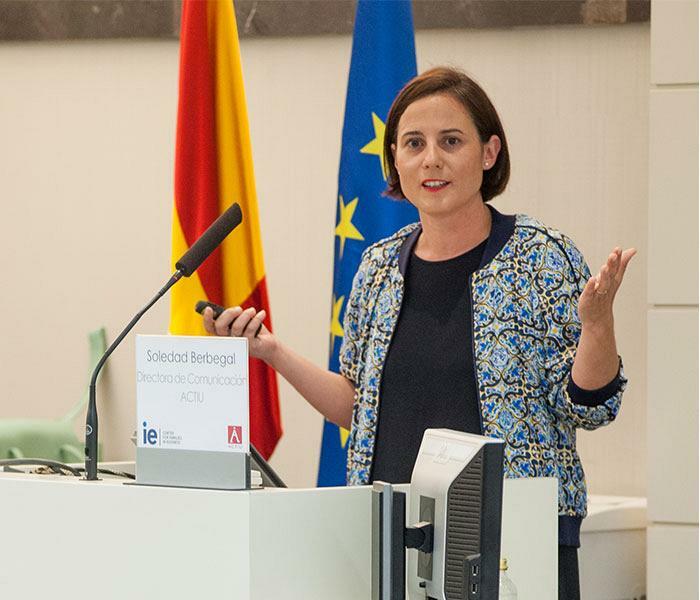 A strong commitment to innovation, values and entrepreneurship unites Actiu and the IE Centre for Families in Business, which is run by Cristina Cruz and highlights the role of family businesses in society. Through the study of successful cases such as that of Actiu from Alicante or Cosentino from Almería, the first of which is the winner of the National Design Award and the second of the National Innovation Award, the centre shares the experiences of these companies so that they can be applied by others. “Design is everything. From the internationalisation strategy to the productive processes or the way in which we communicate, everything is design”, says Soledat Berbegal, Communication Director at Actiu, for whom in addition to the importance of design focusing on the end user, creating community and giving value to the Spanish brand, it is essential that it also be ethical and responsible, while also committed to the territory and sustainability. “The crisis has completely transformed the business model into a global design strategy, which in our case has caused us to go from selling furniture to selling projects”, says Actiu’s Communication Director. 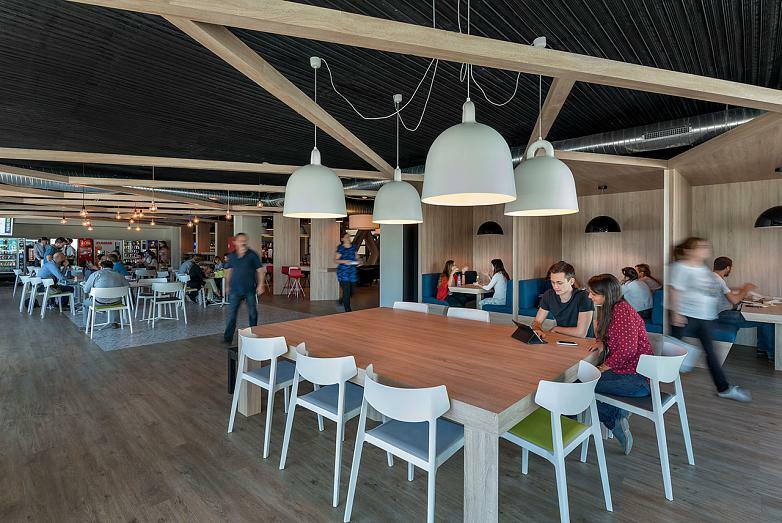 Cool Working® is Actiu’s commitment to user productivity and well-being through a furniture installation process that involves people, processes, technologies and the space. The design of the latter is based not only on the culture and philosophy of each company, but also the physical and emotional health of its workers, which is measured by the LEED and WELL certifications. Now more multidisciplinary than ever before and with uses that are less defined, spaces are much more than just physical environments. “Technology is blurring the lines between places of life, work and enjoyment, requiring a new type of professional – architects, designers, interior designers or facility mangers – who are capable of facing these complexities”, says Guzmán de Yarza, Director of the Master in Strategic Design of Spaces at the IE School of Architecture and Design, and the Head of the JLL real estate consulting firm in Spain. In the architect’s point of view, categories from the 20th century have become obsolete, and architecture and design (as added business values) must be nourished by elements related to culture, technology and, above all, the brand. 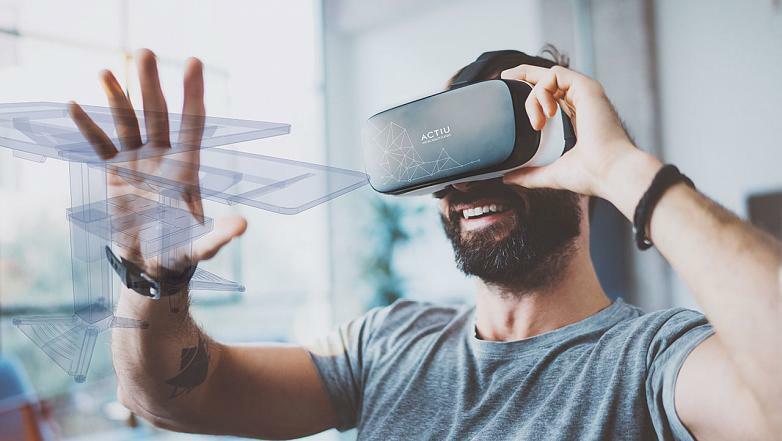 Actiu also highlights the leading role that technology plays in the transformation of companies. “Even though the way we consume is different, we move differently and work differently, many companies are still reluctant to change their work spaces”, says Soledat Berbegal. The Communication Director points out the importance of making the business world aware of the need to use space as a lever for change and transformation with their teams, in addition to making SMEs stop seeing design as an expense and instead begin to integrate it into their internal organisation. The “space pollution” process initiated in work environments has already entered other sectors such as the education, hospital or retail sectors. The transversality of spaces and uses is something that is very familiar to Fernando Serrano-Suñer, who has been in charge of designing the IE Business School’s spaces for more than 10 years. The architect points out how this educational centre has adapted its educational approach to new ways of interacting with one another, something that technology is largely responsible for. “Once the protagonists in universities and schools until recently, classrooms have now been pushed to the background to make way for spaces of interaction where teaching can really take place”, says Serrano-Suñer. A process that could be viewed as unprofitable a priori and yet time has shown it to be highly productive. For the Managing Partner of Serrano Suñer Arquitectura, promoters and clients are becoming increasingly aware of design’s contribution to end users. The architect agrees with Soledat Berbegal and Guzmán de Yarza in that, although architecture and design embody the values that companies want to convey, technology is truly the one responsible for change. Conditioned by strong regulations, the design of sanitary spaces has also been infected by this spatial transversality. 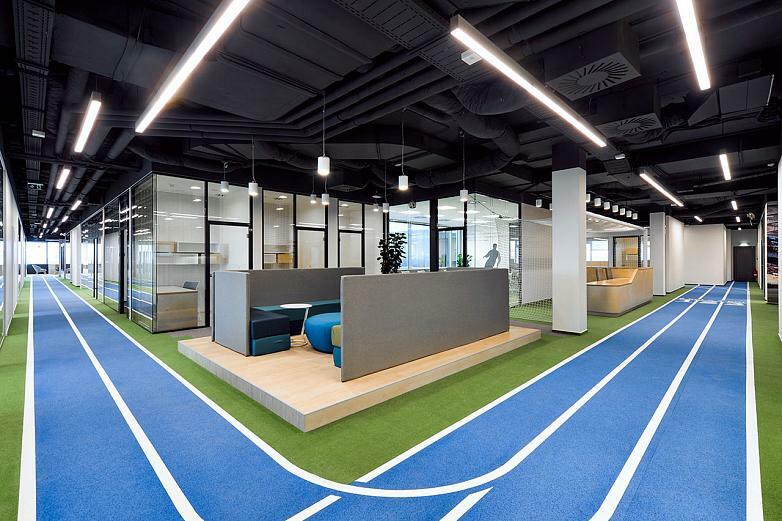 “In our case, it was two years ago when we began to include the client’s experience in the work process and incorporate it into the design of spaces”, says the Corporate Director of Infrastructure at Quirón Salud, Lola González Sánchez. With the user in the spotlight, the hospital is committed to a friendly design that generates spaces that take into account user emotions, and that use technology to reduce stress and promote their well-being. Although from different sectors, Guzmán de Yarza, Soledat Berbegal, Fernando Serrano-Suñer and Santiago Alfonso Rodríguez all agree on the importance of listening to and analysing the needs of users as a point of inflection when it comes to incorporating design in companies. “The change occurred when we started listening to the client. We went from selling furniture to sitting down with the client in order to co-create and define their needs together”, says Actiu’s Communication Director. For Santiago Alfonso Rodríguez, Director of Communication and Marketing at Cosentino, the roles have been reversed along with how they interact with the market: “From offices located in industrial parks, we have moved to other premises in the middle of the city that are pleasant, inspiring and quiet, where digital technology allows the user to virtually get a closer look at the large formats”.